Alissa's Blog | Welcome to the end of eras. Welcome to the end of eras. Spring seemed to sneak up on Beijing without anyone noticing. Not too long ago, the people of Beijing were enjoying the first snow of the winter, now suddenly the air is heating up and flowers of all different colors are blooming. 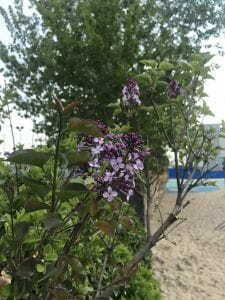 This particular flower is called Lunaria Annua, or Annual Honesty in English. 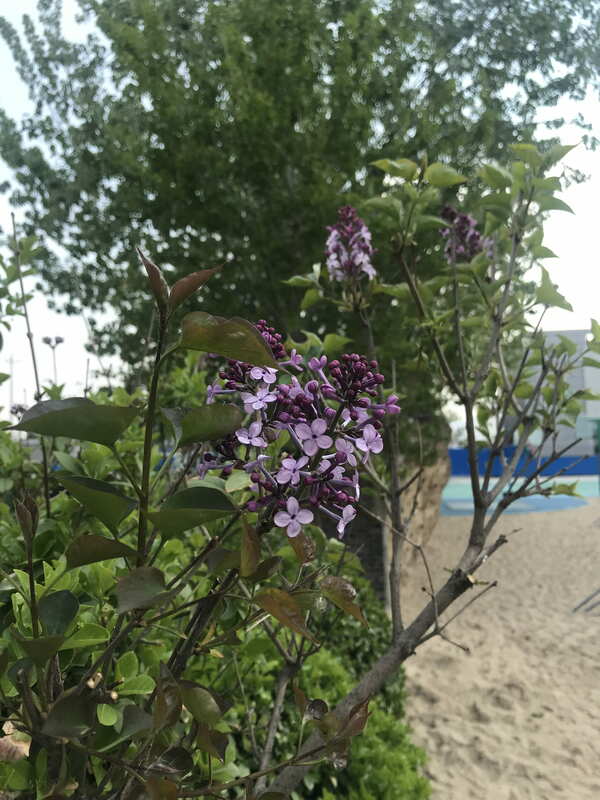 It has a simple kind of beauty to it, with its four petals and light purple color. This flower really teaches you to pay attention to details and notice your surroundings, as it was blooming in a corner of the playground. From far away, the beauty of this flower is easy to overlook because it’s small and well hidden. But from this close of a range, it outshines all the other flowers. Forge by Laurie Halse Anderson is about a runaway slave named Curzon during the American Revolution. The story follows his journey through an enlistment in the army. It includes battles, friendships, rivals, and even love interests. The story also touches upon the people’s right to freedom as well as the unfairness of the British government. The theme of this book is that freedom is a precious thing, and everyone deserves it. This is supported several times throughout the book. In the story, it says, “The memory exploded. We are free!” (Anderson, 4). This quote expresses Curzon’s joy of finally being free. It brings to light the true importance of freedom, and what value Curzon has put on it. In the story, Curzon says, “ ‘Let me ask you something. We’re fighting for freedom, right? So why is that man allowed to own Baumfree and Bett?’ ” (64). This shows that Curzon resents slavery. He believes that no man should be allowed to take away another’s freedom. This quote shows that Curzon strongly believes in freedom for everyone, not just white men. In the story, Curzon also says, “ ‘You agreed I’d be free when my first enlistment expired. That was more than a year ago.’ ” (162). This quote shows what he did to be free. Having freedom is so important to him that he would do anything to be free, including enlist in the army. This view of freedom has lived on, surviving even in the modern era. To this day, the people of America still pride themselves for their free country, and exercise their right to freedom constantly. Freedom is a thing that many people often take for granted, but to Curzon and the other slaves during the American Revolution, it was a luxury they would do anything for. Our video is about the American Revolution. If you include the introduction and conclusion, we had eight different parts in total. We decided to include six key points to the revolution. We chose the Townshend Acts because we thought it was the defined start of the revolution. There had been many acts before this, but this was when the colonists really started thinking of rebellion. We chose the Boston Massacre because we thought that it was the event that massively fueled the rebellion. The colonists were all furious at the redcoats for killing and injuring their people. We chose the Declaration of Independence because that was the document that established the United States of America. Without it, the United States wouldn’t exist. We chose the Battle of Saratoga because it was a serious turning point in the revolution. After this battle, the French saw how powerful the Americans were and decided to form an alliance with them. We chose the Siege of Yorktown because it was the final major battle of the revolution. This was arguably the most important battle of the revolution. We chose the Treaty of Paris because it was the document that officially pronounced America to be a free country. A skill that I learned was programming, and I also developed my planning skills. I had never really done anything like this before. Robotics was a fairly new concept to me, so it was fun to explore the designing process of a robot. This project also tested my ability to plan ahead. Time management was very important in this project, so having a clear plan was important. One piece of advice I would give to a future student is to have a clear plan. Time management is crucial for the success of this project, and having a clear course of action helps with making it easier. My biggest obstacle was the servo not staying in place. My partner and I chose not to glue the servo, instead opting to tape it to the side. This choice lead to the servo constantly falling, as the tape couldn’t support the weight of the servo. This problem made it very hard to push the head up with the servos, as they would stay for a few runs and then fall. This obstacle was a constant challenge throughout the design process, and it continued to be a problem even through the day of the petting zoo. The focus of future NASA missions should be on Saturn’s moons. Scientists have found water on Enceladus, and it’s also suspected that there’s life on Titan, one of Saturn’s moons. In the text ‘Search for life beyond Earth might only need go as far as Saturn’s rings’, it states, “A liquid ocean exists beneath the icy surface of Enceladus, which is barely 300 miles across. Clouds of water vapor spray from the cracks on the south pole of the moon.” This shows that scientists have found small samples of water on this moon already. The existence of water on Enceladus is the first step to finding alien life. In the text ‘NASA to decide on upcoming mission to Saturn moon or comet’, it says, “The robot would be equipped with instruments capable of identifying large organic molecules which indicate signs of life.” On another Saturn moon, Titan, scientists have already taken steps to explore it. The presence of water on two of Saturn’s moon makes it hard to believe that alien life doesn’t exist. Being the first to find extraterrestrial beings and confirm the existence of aliens would be a huge achievement. NASA should focus their future missions on exploring Saturn’s moons. Heavy. That was the only way to describe the atmosphere. As Alexandra walked into the assembly hall, filing in neatly behind her mother, she wondered what had happened. For the government to allow women to attend the meeting, something absolutely horrible must have happened. She kept her head tilted downwards and her arms politely folded in front of her. She quickly lined up against the wall, making sure not to lean. Leaning was bad posture, and bad posture broke rule number six. As she stood there, back straight and head down, she recited the rules of a woman in her head. Although she was only required to know the first five rules at her age, she had studied them in advance, hoping this extra effort would be noticed and acknowledged by the matchmaker. At twelve, she was supposed to be reaching her rebellious phase, where she started breaking the rules of a woman and acting out. But her female caretaker, who was assigned to her at birth, had reprimanded her and discouraged her from going into this phase. Meredith had reasoned that she would grow out of it anyways, so why waste so much of her life. Looking back, Alexandra was grateful Meredith had raised her to be a proper lady. All her companions had started doing such crude and unthinkable things, such as gossiping and complaining. They had requested she join them on several occasions, but she always politely refused. They might want to make a fool out of themselves, but Alexandra was very content with being the best woman she could. Alexandra didn’t look up, as she didn’t want to make eye contact with anyone on accident. But she could tell from the voice that it was the president speaking. She had learned in history class that it was the president’s great grandfather that had founded their society and wrote the rules that they still follow to this day. Alexandra had to restrain herself from nodding along. Even at her age, showing her opinions would be considered horribly rude, and not to mention it broke rule eight. She glanced over at Elizabeth and Abigail, two of the three girls she considered to be her friends. They didn’t look like they were listening, instead they were staring at the ground and zoning out. Alexandra internally rolled her eyes. It was just like them to not pay attention. She quickly glanced around for Beatrice. Beatrice would surely be paying attention. She was the most woman-like out of the four. But as Alexandra scanned the room, trying not to get caught performing such an unladylike act, she couldn’t find Beatrice anywhere. It didn’t seem like Beatrice had attended the meeting. This confused her, because the girl was never late to anything. Alexandra was sure she would see Beatrice later on in the day for their literature lesson, so she wasn’t too worried. She assured herself that Beatrice had simply lost track of time and continued to listen to the speech. Suddenly, Alexandra wasn’t very concerned with the literature lesson. Beatrice had gone missing. Where could she have gone? There was a possibility she simply decided to travel outside the community without notifying anyone? That wasn’t likely, considering Beatrice was the most proper woman Alexandra knew. She was so caught up in her thoughts that she barely caught the president’s next words. Alexandra’s mind raced. Although her face remained as impassive and polite as ever, she was screaming on the inside. This wasn’t possible. The president giving Beatrice a farewell speech, as if she were dead. Didn’t he say she was simply missing? There’s no way Beatrice could be gone. She was the embodiment of a woman and had been Alexandra’s role model since a very young age. She quieted her racing thoughts and once again tapped back into the president’s speech and listened. “My people, it is clear that Phoenix was responsible for this crime. They are responsible for the death of Beatrice Adams.” At that, Alexandra’s interest was piqued. She had heard about a group named Phoenix before, and if it had something to do with Beatrice she wanted to know. “From the information I have gathered, it seems that Phoenix is a rogue group consisting only of women. They seem to mainly depend on criminal activity to stay alive.” At this, many of the men in the room gasped. Criminal activity was rarely a threat in their community, so when something like this did come up, it was terrifying to even think about. But what was even more startling to them was the information that the group consisted of only women. “Yes, I’m afraid it’s true. Phoenix had been feeding Beatrice false information about our society for years now. They planted a seed of false information into Beatrice’s mind and nourished it. Phoenix made her believe that men were cruel, unfair, and evil. They are the reason Beatrice is no longer with us.” As Alexandra saw the president’s gaze start to shift over to the women lined up against the wall, she quickly lowered her gaze before she was noticed. Somewhere during his speech, she had unintentionally lifted her head to watch the president as he talked. At those words, the room burst into applause. As Alexandra looked around, several of the women were clapping as well. She wasn’t sure if they were moved by the speech or by the presence of the president, but either way, they were applauding. She kept her head down and thought about the speech. She registered the words of the president. They were saying that she was weak and useless, that Beatrice was a fool. But as much as Alexandra wanted to object, to disagree with what the president had said, she couldn’t bring herself to. She knew keep down that the president was right. Women were nothing without men. Instead of channeling her frustrations to the men around her, she decided to make better use of those feelings. She channeled them to Phoenix, building a hate for them. She blamed them for taking her best friend, and she vowed from that day forward that she would have nothing to do with them. Extinction. It’s a scary thought. To think that a creature could disappear from this world without a trace. That they could live out their whole legacy and then vanish, and we may never know. But however scary the concept of extinction may be, it’s real and it’s happening right before our eyes. In the book “The Sixth Extinction: An Unnatural History” by Elizabeth Colbert, she touches on the topic of extinction. The chapter that I decided to focus on is the first chapter, “The Sixth Extinction”. In this chapter, the author talks about mass extinctions in the past and how there could be one happening right now. The mass extinction covered by this chapter is the extinction of amphibians. Amphibians include frogs, toads, newts, and many more. In the book, it says, “If Wake and Vredenburg were correct, then those of us alive today not only are witnessing one of the rarest events in life’s history, we are also causing it.” (Colbert, page 7-8). This shows that although mass extinctions have happened in the past, those were due to natural causes. This sixth extinction however is directly related to humans. In the book, is states, “This sort of intercontinental reshuffling, which nowadays we find totally unremarkable, is probably unprecedented in the three-and-a-half-billion-year history of life.” (page 18-19). This shows that whatever disease or mutation is causing this extinction, it would have never happened if it weren’t for humans’ intervention on the world. Us humans have the ability to go to any place in the world, all seven continents and all one hundred ninety-five countries. This kind of efficient long-distance travel was never supposed to be able to happen. All our travels have let this disease spread all across the world, infecting and killing amphibians all across the globe. This mass extinction is happening, and it is unsurprisingly our fault. This disease won’t just affect the amphibian population. Mass extinction is a widespread and rapid decrease in the biodiversity on Earth. If this amphibian disease were to spread, it would eventually go farther than just the cold-blooded critters and crawlers of this world. If amphibians were to die out, it would have a severe and lasting impact on Earth’s current ecosystem and way of life. In the book, it says, “…noted that there ‘have been five great mass extinctions during the history of life on this planet.’ These extinctions they described as events that led to ‘a profound loss of biodiversity.’ ” (page 6). Not only will the extinction of amphibians lead to a shift in the ecosystem, there is a good chance their extinction will set off a chain reaction of different extinctions. When amphibians die out, there will have to be shifts in food chains and ecosystems. The animals who can’t adjust to the disappearance of a whole class of animals will surely die out. One mass extinction is bad enough, but the thought of it setting off a chain reaction of extinctions in both unfathomable and horrifying. Humans have drove a whole class of animals onto the brink of extinction. What should have been just a simple outbreak that affected one or two species has now, thanks to us, evolved into a massive epidemic that could potentially wipe out an animal class. The sixth extinction isn’t a thing of the future, it’s a thing of the present. And if we don’t do something to stop it, amphibians will soon become a thing of the past. What had changed in Russia from 1905 – 1939? The Russians were no longer under the rule of the Tsar, instead they were under the rule of the Soviets/Bolsheviks. Workers had to work 7 days a week instead of 5 days. The religion of Russia changed from Christianity and Islam to Atheists and the worship of Joseph Stalin. Students also had stricter education, report cards and test marks, and school uniforms. What had stayed the same in Russia from 1905 – 1939? 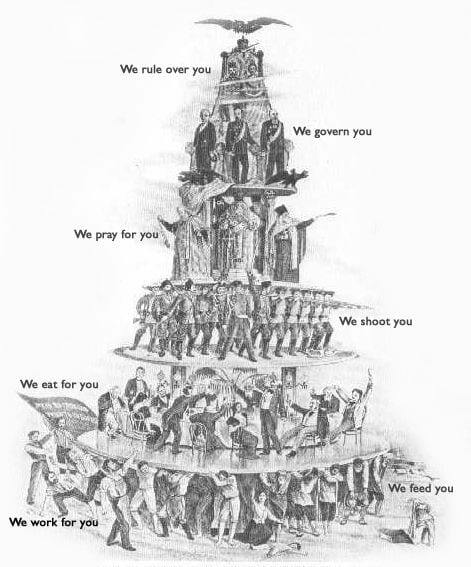 The Russian social pyramid was the same. Peasants were still at the bottom of the pyramid, and they couldn’t climb up the pyramid. Peasants couldn’t become military generals, and soldiers still had a hard time becoming government workers. In 1939, how were Sergei and Alexander’s lives the same or different from 1905? I focused on the life of Alexander. He is still a peasant and is still loyal to the Bolsheviks. He also still loves his family and puts them first. But, Alexander now has a wife, and three children, two alive and one dead. In my opinion, the Russian Revolution wasn’t worth it. After they broke free from the Tsar’s rule, they just became ruled over by a president that held all power. 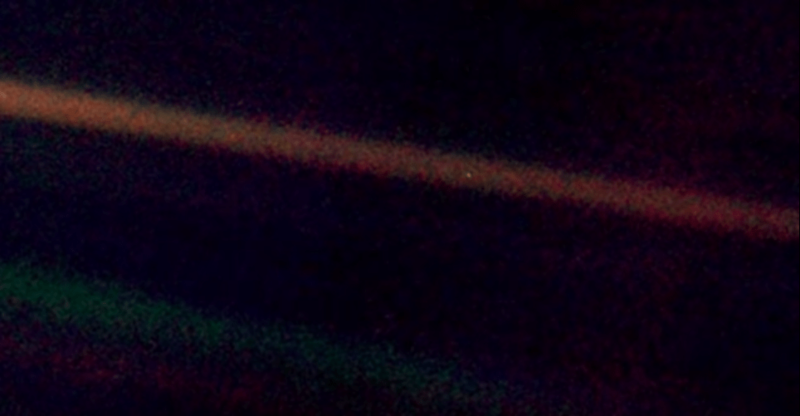 The video that had the most impact on me would be “The Pale Blue Dot”. One quote from the video is, “On it, everyone you know, everyone you love, everyone you’ve ever heard of”. This had a very big impact on me because it puts into perspective how small our perception of the universe really is. It shows that in the real scheme of things, things like wealth and popularity don’t really matter, because we are occupying a less than a fraction of a dot in the universe. Another quote from the video is, “Think of the endless cruelties visited by the inhabitants of one corner of this pixel, on the scarcely distinguishable inhabitants of some corner other corner, how frequent their misunderstandings…” This shows that the constant struggle for power that humans face is, at the end of the day, pointless. The insignificance of Earth in the grand scheme of the universe.